After you finish sifting through the variety of properties that other Savannah vacation rental companies are offering, call us at Southern Belle for the accommodations that are the best fit for your family vacation or business stay. One of our extensive selection of Savannah GA vacation rentals, the Moroccan Oasis is located in the beautiful Savannah GA historic district. This property is a compact yet generously appointed rental with one bedroom and one bath plus room for a third guest. Within minutes of all of the sights that Savannah downtown and the surrounding areas have to offer, the Moroccan Oasis is the ideal base for an action-packed visit to the Old South. The unique decor of this home away from home sets the Moroccan Oasis apart from other Savannah GA vacation rentals. A brick courtyard and footpath bring you to the gracious entrance. Mosaic-style floor tile in the sunroom welcomes you into this Middle East-themed hideaway. A seating area beside the front door offers a light-drenched space where you can enjoy light breakfasts or impromptu suppers. A unique swinging single bed of carved wood provides a peaceful place to read and daydream beneath the exposed beams. Pass through the leafy wrought iron arch to the living room where rustic hardwood flooring, a decorative fireplace and comfortable, contemporary-style furnishings await. Distinctive decorating accents add to the Moroccan-style mystique that distinguishes this lush oasis from other Savannah GA vacation rentals. The bedroom features a plush queen-sized bed, twin nightstands with reading lamps and a flat-screen TV for your viewing pleasure. A dresser and armoire supply ample space to stow your clothing and personal items. The ensuite bathroom hosts a combination tub and shower and an attractive pedestal sink. The kitchen contains all the dishes, cooking vessels, utensils and glassware you’ll need to cook and serve great meals with fresh ingredients from Savannah downtown markets. The adjacent sunlit breakfast nook supplies casual seating for two. Unlike many similarly sized Savannah GA vacation rentals, the Moroccan Oasis includes a new stacked washer and dryer in its own enclosed laundry space for your convenience. Only a few of the properties offered by Savannah vacation rental companies provide so many amenities. Step out the back door to a roomy covered porch where you can relax and enjoy a full view of the verdant, manicured gardens. Secluded from your neighbors in the surrounding Savannah GA historic district yet open to the sights and sounds that make Savannah so memorable, you will truly feel at home in the Moroccan Oasis. Located on the northwest corner of the Savannah GA Historic district, the Moroccan Oasis is a secluded haven set in the center of Shanghai Gardens, a lush urban green space with a fountain just outside your front door. The neighboring property is the renowned Pirate’s House Restaurant, a convenient place to enjoy the local fare, and the Savannah Belles Ferry landing is just a few blocks to the north. Stroll through Emmet Park to East River Street and the waterfront promenade where you can watch the passage of cargo vessels. Peruse the wares in more than 75 nearby boutiques and galleries. Enjoy a pint of ale at a local pub or sit down to hearty repast at one of the area’s eclectic restaurants. Jump aboard the River Street Streetcar that stops steps away from your front porch, and tour the Savannah GA historic district, Savannah downtown and all points in between. The refurbished, old-fashioned trolley, back on line since 2009, is a familiar sight along River Street. 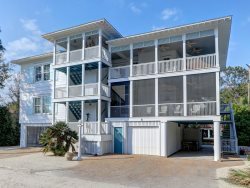 No need to search through all the listings of Savannah vacation rental companies to find the accommodations that segue with your lifestyle perfectly. Book your choice of Savannah GA vacation rentals by calling us today. It was 2nd property from SBV that we rent in Savannah. It was great! Extremely beautiful and clean. I highly recommend Southern Belle. Friendly staff and awesome apartments! When making the reservation online, I think I remember I couldn't get my deposit to go through. Who ever I spoke with was very helpful. Perfect. We had a wonderful time. Can't wait to come back. The experience with team members was professional and painless. Overall we had a great time! SHANE WALLER IS THE BEST. HE HAS ASST. US THE THREE TRIPS. HE KNOWS THE PROPERTIES AND HELPS US MAKE GOOD SELECTION ON THE LOCATIONS. THIS IS TRULY A SUPER NICE APT. IT HAS EVERYTHING THAT YOU COULD ASK FOR. GREAT LOCATION AND NICE FURNISHINGS. THE TRAFFIC IS A LITTLE HECTIC AT TIMES, BUT WE WALKED EVERY PLACE WE WENT, SO IT WASN'T TO BAD. GREAT PARKING. VERY GOOD WEB SITE. Very easy to work with. The entire experience was very smooth. I would definitely use your services if I was to return to Savannah. I have already referred a friend! Nice quiet area even with construction behind us. I'm sure when that is completed it will be even nicer. Very comfortable stay. The staff members were great , they were very helpful , from the time I first called and check in was very they made you fill welcome to savanna. The team was efficient and expedited the process. The property was amazing and was very reasonably priced. It was also so quiet and you could not hear the other residents. The team members were very pleasant and helpful. We absolutely loved the property. It was exactly as pictured. It was well equipped with everything we needed to prepare a meal and to have a comfortable stay. Property was exactly as we envisioned it to be. It was very nice clean, and comfortable. Very pleased from beginning to end. Awesome rental. Loved it and hope to return. Clean, exactly what we were expecting. Loved the back porch and the peacefulness of the garden. The closed-in porch with swinging bed was a quiet retreat to read and just relax. Trolley stops next door at Pirate Restaurant. Southern Belles has it all together. Not only do they have great properties but southern charm to welcome tired travelers. Clean, safe, convenient, warm......comfy. Excellent. Great experience! Our coffeepot wasn't working our first day and I called and they quickly brought one out. Great customer service! Great location and amenities - loved our stay! Me and my wife have stayed at many homes in Savannah this was our absolute favorite. We will be back! The entire process of reserving this property was simple, easy, and so well managed. Check in and check out was a breeze. The Moroccan was a comfortable and lovely home for our reunion and 'Girl's Weekend'. The location could not be more perfect for access to long walks, great food, and seeing the sites in Savannah.